Snowblind Movie Adaptation in the Works | Nerd Much? Christopher Golden’s Snowblind looks like it’s getting the big screen treatment. Golden’s horror novel released in 2014 to widespread critical acclaim, and the folks at Zoic Studios took notice. 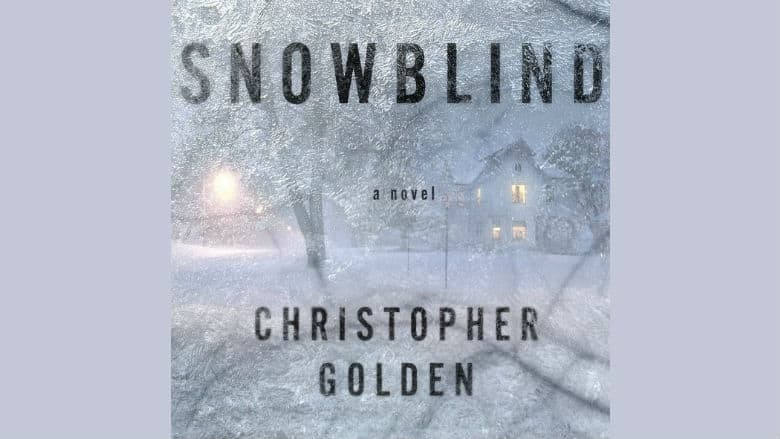 The Emmy Award winning company confirmed today that they’ll take Golden’s work and have it adapted, announcing a Snowblind movie is on the way. Snowblind is far from Golden’s only accomplishment to date though. The author has published dozens of novels to date. He’s written for the Hellboy series, including a writing credit on the upcoming theatrical reboot Hellboy: Rise of the Blood Queen. Golden has also written 17 tie-in novels attached to the Buffy the Vampire Slayer series. As well as tie-ins for other popular sci-fi franchises like Battlestar Galactica, Daredevil, Justice League, King Kong, X-Men, Uncharted and Alien. For Zoic Studios though, a Snowblind movie is one of their first forays into feature films. The company is renowned for their work in the VFX space. The studio’s resume includes work on big time television series including Game of Thrones, The Walking Dead, Maniac, Marvel’s The Defenders, and Firefly. They’ve also dabbled in feature films, with Avengers: Age of Ultron, The Grey and Big Eyes making their list of endeavors. Zoic Studios is attempting to level up now and develop projects of their own. Including the newly announced Snowblind movie, Zoic has now optioned 12 projects in total. Hopefully their Snowblind movie ends up putting their new aspirations on the right path.